Williams had a tough 2018 with the extremely uncompetitive FW41, but the team has managed to squeeze one last bit of usefulness out of it by using it (complete with 2019-ish simplified front wing) to display the livery it will run in 2019. To be honest, that’s quite a bit different to anything we were expecting - in a good way! That soft light blue with the white and black works surprisingly well. 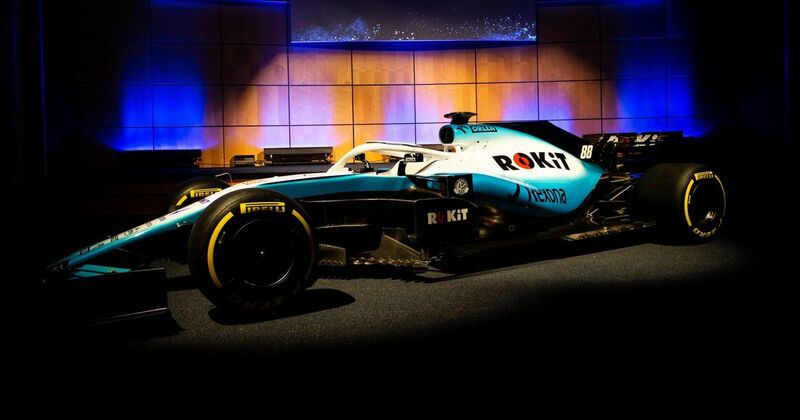 It’s also good to see the addition of a new title sponsor in the form of Rokit (pronounced rocket), a mobile phone manufacturer, which sees the team name officially become ‘Rokit Williams Racing’. Like Toro Rosso and Haas, it seems Williams is waiting until testing next week to reveal the actual car as opposed to just a render.